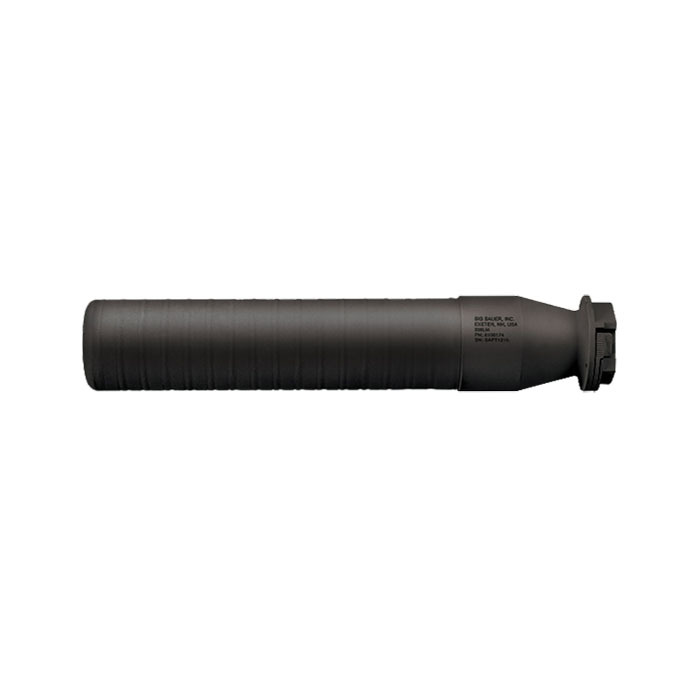 The Sig Sauer SRD338Ti-QD Suppressor is a Grade 5 Titanium quick detach suppressor. The rear mount has wrench flats to torque the silencer to the barrel. There is a secondary retention latch that is depressed to remove the silencer from the mount. 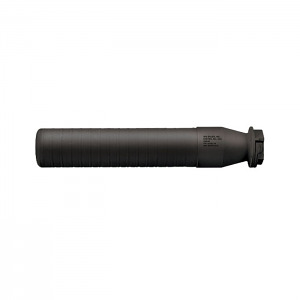 The SRD338Ti-QD is rated up to the 338 Lapua Mag and any other rifle cartridges that are of equal or less projectile diameter, pressure and case capacity. Examples of this would be .204 Ruger, .223/5.56x45mm, 5.45x39mm, 300 Win Mag, 7.62x39mm, 7.62x35 (300 Blackout), 6.5 Grendel, 6.5 Creedmoor, 6.8 Spc, .260 Remington and other cartridges. The SRD338Ti-QD comes with one M18x1.5mm Taper-Lok muzzle brake. Other muzzle devices are available.